What’s going on, Sri Lanka? Logically, we would want intelligent persons who understand the best approach and methods for running a country in the best possible way to be our leaders. However it’s clear that doing or saying unintelligent things is no barrier to political success in Sri Lanka, and many politicians are clearly in it for themselves. There are however a very few who really do want the best. So, for the record, not all politicians are selfish and self-centred. But plenty are. In Sri Lanka, it seems that it is not only power that corrupts, but fear also. Fear of losing power corrupts those who wield it and fear of the scourge of power corrupts those who are subject to it. Many of our politicians say they want to make Sri Lanka like Singapore – but do very little make it happen. For many investors Singapore has become a hotspot because of its efficient infrastructure and consist policy. Often dubbed as the “Monaco of the East,” the red dot has beaten a path to steady economic progress and prosperity since the 1970s. When President B.J. Habibie of Indonesia referred to Singapore as a “little red dot” in 1998, he meant it as a disparaging remark. Little would he have expected that Singapore would one day take it up as a badge of honour, a symbol of success despite the odds. President Habibie however sought later to make amends by saying he had not meant “little red dot” to be disparaging; he was speaking to a youth group and was challenging them to achieve progress and success of Indonesia by noting that Singapore, even though just a little red dot, had been able to make a success of itself. Much of the city’s success can be attributed to the vision of one man – Lee Kuan Yew, Singapore’s first Prime Minister. He was in office from 1959 to 1990.The tenure made him the world’s longest-serving prime minister in history. Lee led Singapore in an era in which it rose ‘From Third World to First,’ as he titled his 2000 book on the former British colony’s modern history. He realised very early that he can’t make a good omelette without breaking a few eggs. Singapore broke away from neighbouring Malaysia and gained independence in 1965. About half a century ago, Singapore was an island without any natural resources to call its own. Lee Kuan Yew’s emphasis on growth, the thrust on making Singapore attractive as a destination for investment as well as the focus on drawing world class manpower, building state-of-the-art infrastructure and excellent air and sea linkages, a low and transparent tax regime, clean and efficient bureaucracy, a strong regulatory and legal framework, a neutral diplomatic policy which has ensured it is an ally of the West as well as China, and developing a clean and green city have ensured Singapore’s stupendous economic success. These factors have led to the emergence of Singapore as a powerful and wealthy financial centre. His main contribution, and the key to his success, was that he understood that in order to put Singapore on a growth trajectory one needs much more than sound economic policy. In reality, any policy can be reversed, any incentives for growth can be dismantled, but when a country has an institutional set-up that is unparalleled. This includes the rule of law; efficient government structures; the continuous fight against corruption; and overall stability, the country prospers. In the early sixties as Nepal’s only billionaire and CG Corp Global Chairman Binod Chaudhary said to a packed audience recently in Colombo: “Many leaders looked to Ceylon as a model of Asian prosperity with little corruption and liberal politics.” In the ’60s the GDP of the country was much more than Singapore and South Korea. At that time many leaders in Ceylon had the determination in developing the country to a modern and dynamic city. Today most people in developing countries are okay for restricted freedom of expression, self-censorship and stunted multiparty democracy as long as people are economically well off, with housing and food; if there is law and order, truth, honesty and economic progress, nobody cares much about politics or politicians. Many people would much rather live in a country like Singapore than a place where you have every freedom in the world but you are hungry and it is corrupt and has uncertainty. Therefore our priorities have to be right. The explanation for success lies in an ability to trust a leader, a nation as a place where promises are kept, the rule of law maintained, justice is assured, government policies are predictable. Singapore offers reliability, integrity, quality, hard work and trustworthiness. These are what matters for long-term relationships and success. 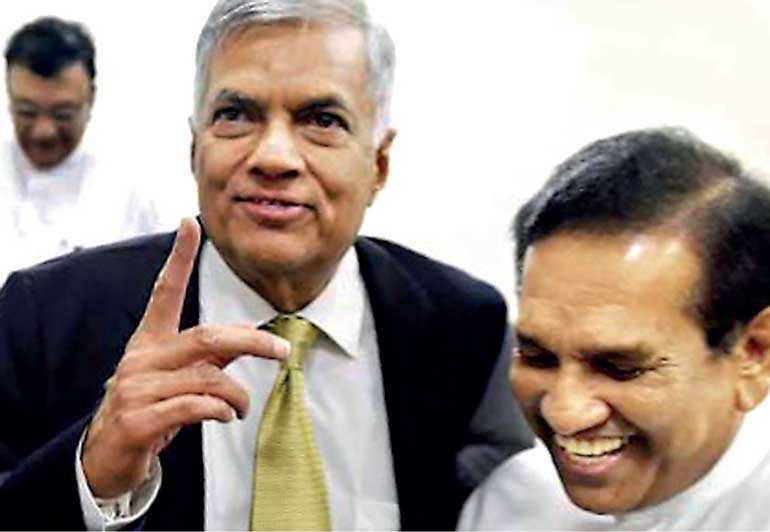 In the final analysis, whether Sri Lanka is led by Ranil Wickremesinghe or Mahinda Rajapaksa or Maithripala Sirisena, it does not matter as long as law and order, truth, honesty and economic progress can be achieved — all of this boils down finally to leadership.